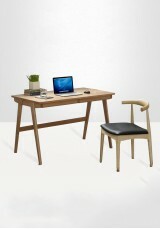 The moderrn style of this slimline desk emulates an artist's workspace and includes a useful drawer ..
A traditional-look desk with minimalist class, featuring a single drawer Material: Rubber wood..
A compact and elegant desk with enclosed sides, handy cubby holes and shelves Material: •Birch w.. 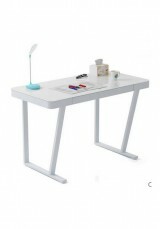 Create your own designer space with this fabulous all-in-one unit. 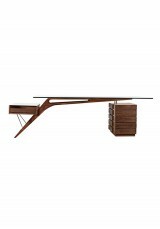 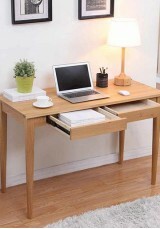 Can be configured to a desk and s.. 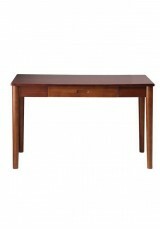 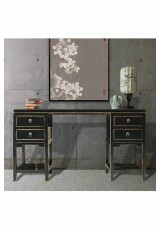 Slender and streamlined, this is a great two-drawer desk for a modern or small space. 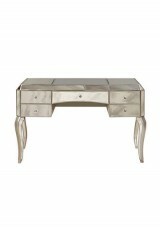 Material: ..
A great traditional wooden desk with ornate detailing and antique-look distressed paint finish, in r.. 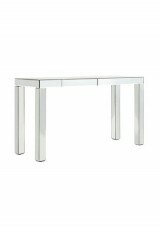 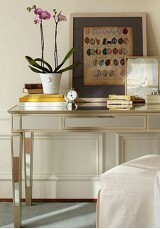 Create an elegant space in your bedroom or office area with a mirrored desk. 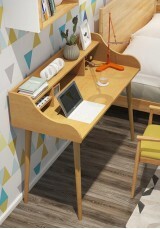 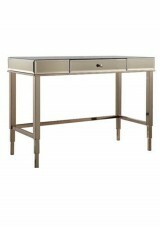 Reflects light around ..
A lovely slimline, artist-style desk with two handy drawers Metrial: •Solid Pine Assembling req.. 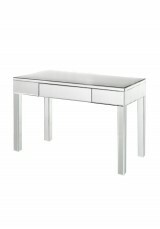 Simply fantastic, this unique design features 4 side drawers plus a glass top drawer balanced opposi..